Last week, during a visit to Austin, Texas, I stopped by what is now one of my favorite bookstores in the country and visited with Resistencia volunteer Sarah Rafael García (below left). Resistencia Bookstore is an independent storefront that doubles as a neighborhood center for aspiring writers. They not only have the richest, most mind-blowing selection of indigenous, Native American, [email protected]@, [email protected], African American, queer, feminist, and children’s bilingual literature I could ever dream of, but they are also an active hub for community engagement and creativity. Resistencia is the home of Red Salmon Arts, a 501(c)3 grassroots cultural arts organization that has been working with the indigenous neighborhoods of Austin since 1983. RSA is dedicated to the development of emerging writers and the promotion of [email protected]/[email protected]/Native American literature by providing local working class [email protected]/[email protected] and Native American communities with outlets and mechanisms for cultural exchange, as well as resources to better understand the culture and arts of their families and ancestors. If you ever find yourself in Austin, I highly recommend paying Resistencia a visit; chances are, you probably won’t leave empty-handed. 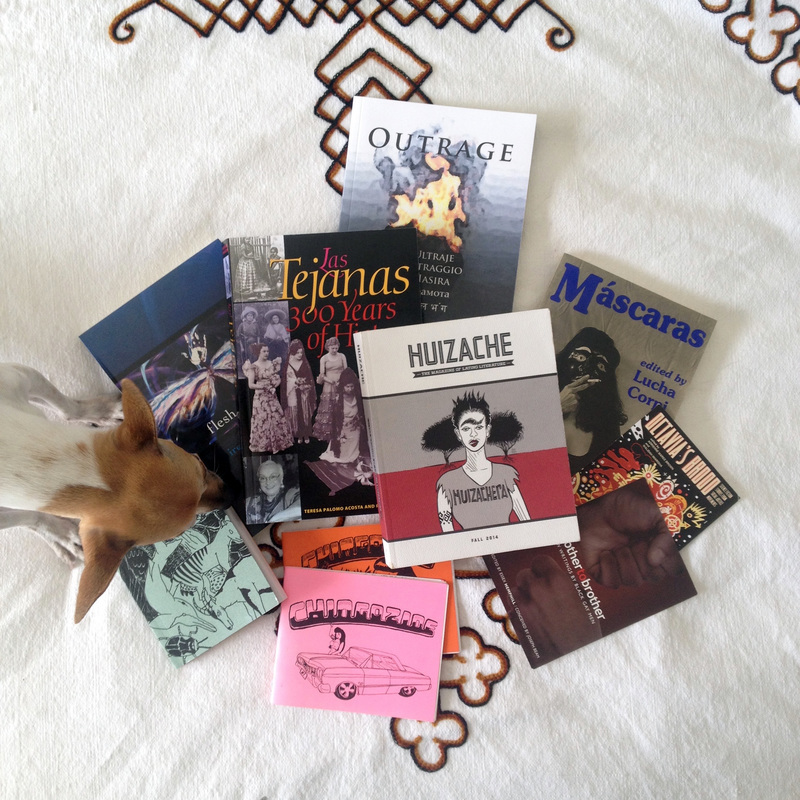 Take it from me – I was about to leave with 20 books and an empty wallet, and had to endure the painful process of whittling my bounty down to a healthy 5 books, plus some badass Chingozines and a Slingshot calendar. And even if you aren’t looking for a new non-profit to give a one-time or monthly donation to, I can’t urge you enough to kick a few bucks their way and support this incredibly vital organization. Long live Resistencia! Lia García (La Novia Sirena), transgender activist and performer from Mexico City will perform her affective piece “voice under construction,” with a discussion about transphobia and racism to follow. Lia García: La experiencia del cuerpo transgénero como una pedagogía afectiva/ The transgender body experience as an affect pedagogy.